In the Domain Manager, you can view the domain names included in a preset profile. Note: If you don't see the Advanced Options section, you'll need to click on the small arrow at the very left-hand edge of your account to expand it. 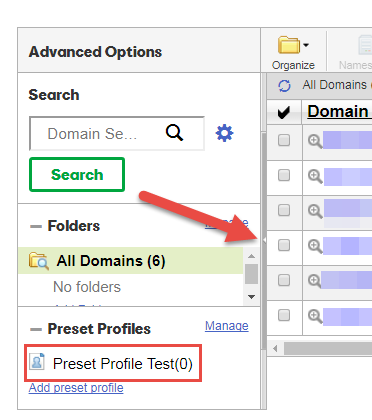 The list of domains in your preset profile will appear.